Our Eco-Friendly Drape fabric is manufactured through a pioneer of Eco and Sustainable fabric suppliers since 1992. From pure to blend, light to heavy, woven to knit, you’ll be amazed what we are offering with Organic Cotton and Hemp, Soybean, Bamboo and Recycled Fibers. We hope that our collection will inspire you to create things that not only look beautiful, feel wonderful, but are also gentle to the Earth. Organic Cotton is an Ecologically responsible and green fiber. Unlike conventional cotton, which uses more chemicals than any other crop, it is never genetically modified and does not use any highly polluting agro-chemicals such as those found in pesticides, herbicides and many fertilizers. Integrated soil and pest management techniques—such as crop rotation and introducing natural predators of cotton pests—are practiced in Organic Cotton cultivation. All Organic Cotton growers must have their Cotton Fiber Certified according to governmental organic farming standards, such as those of the National Organic Program of the USDA or the EEC’s Organic Regulation. Each year, both land and crops must be inspected and certified by internationally reputable certifying bodies. The Organic Fibers used in our fabrics are Certified by IMO, Control Union, or Ecocert, to name a few. Many of our fabrics are also certified to Global Organic Textile Standard (GOTS) by these approved certification bodies. We offer solid tracking records and clear traceability on each lot we receive or ship. Hemp grows extremely fast in any kind of climate. It does not exhaust the soil, uses little water, and requires no pesticides or herbicides. Dense planting leaves little space for light, hence few chances for weeds to grow. Its skin is tough and insect resistant, and this is why often Hemp is used as a rotation crop. Its fiber and oil can be used in making clothes, papers, building material, food, skin care products and even biofuels. No wonder it’s considered by many as the most versatile and Sustainable Plant on Earth. Both industrial hemp and flax plants are regarded as “Golden Fibers”, not just for their natural golden color fibers, but more importantly, for their great properties. Their fibers are considered the strongest known to mankind next to silk. You’ve heard it: Reduce, Recycle, and Repurpose. We put it into practice by collecting manufacturing overruns, scraps from cutting, rejected dye lots, and fabrics from different mills and sewing factories. These post production materials are sorted, shredded, then blended with new natural fibers or with recycled polyester from plastic bottles before finally being re-spun into colorful yarns for knitting and weaving. In doing so, we offer you beautiful fabrics otherwise destined for landfill. For us, it’s an exceptionally rewarding experience. We have Partnered with OneTreePlanted.org For every Eco-Friendly drape sold, we will Plant One Tree on your behalf. 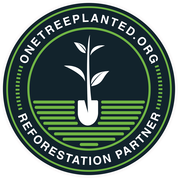 You will also receive a certificate from OneTreePlanted.org letting you know that they have planted your tree. Not only will you be helping the Environment, you will be restoring our Forest. Join the community of Tree Ambassadors! Spread the word about why trees are so important. They clean the air we breathe and the water we drink, stabilize our climate, protect biodiversity, and provide sustainable business for communities around the world. Want to make reforestation a part of your business model? You can plant a tree for every product you sell, or donate a percentage of your sales to help our tree-planting projects. One dollar plants one tree!